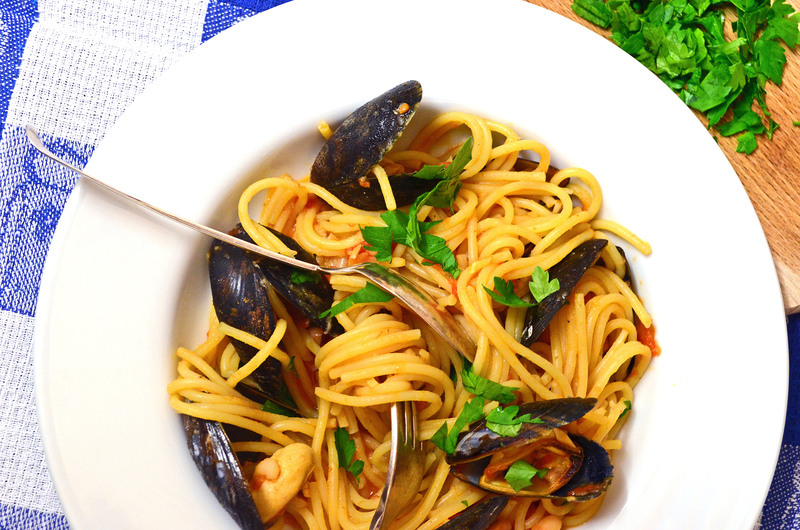 I quite like seafood, so when I saw a recipe for spaghetti and mussels and beans (which I also quite like), I decided to make it. I have never bought or cooked live mussels, but this time was to be my first. I was a bit nervous about having to clean them, wasn’t sure if I knew how to do it properly, but eventually I quite enjoyed the process of scrubbing and de-bearding. And the meal that resulted was… very tasty. Recommend it!